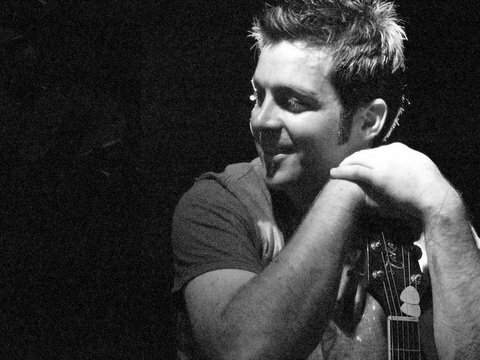 Mark Graham is a seasoned songwriter and musician from Lisburn, Northern Ireland. He has been writing songs since he picked up his first guitar as a child. For the past three years he has been working between here and the USA. He has co-written in Nashville with twice Grammy-nominated Kim Richey and the highly successful Monty Holmes who has had hits for Lee Ann Womack and George Strait. He has also worked with music publishers including Kobalt Music Group, Horipro Entertainment, Roundhill Music and Carnival Music. Producer Steve Lillywhite selected his song, ‘Who Do You Love’, co-written with Frances Mitchell, as part of RTE’s series ‘The Hit’. The song was a finalist and charted at number 3 in the Irish charts for Ryan O’Shaughnessy. He is an equally impressive performer and has shared the same stage as Ricky Warwick (Black Star Riders and Thin Lizzy), and Ciaran Gribbin (INXS and co-writer of Madonna’s Grammy nominated ‘Celebration’) at the Belfast Nashville Songwriter’s Festival. Most recently he performed at Nashville’s famous Bluebird Cafe. Program is published, its a really fantastic lineup this year – I’m on page 31 🙂 Check it out here. Tickets are running out fast so click soon, Click to Get your nice fresh tickets here… or give Belfast Welcome Centre a call on 028 9024 6609 and book today. If it sounds good to the ear it’s an influence, it’s fun and challenging to take yourself outside your normal comfort zone when writing songs, That’s how great things happen ! !